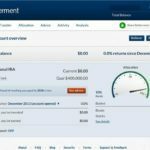 Betterment is an investment advisory and management service that has been drawing praise and growing rapidly over the past couple of years. 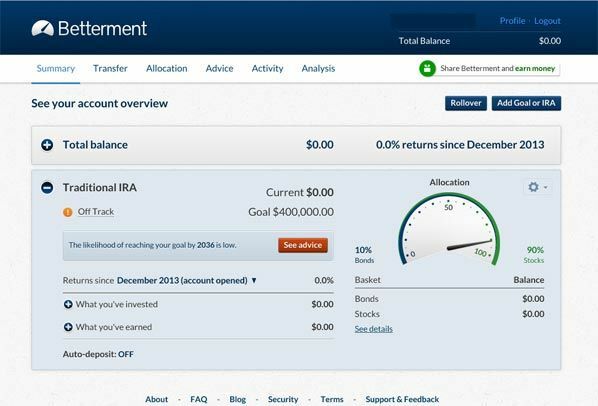 Whether you are a new investor, or seasoned one, Betterment is worth checking out. Based in New York City, Betterment.com is an online investment advisor, providing investment advice and automated investment management. There are a growing number of such services available, but Betterment is a lower cost provider than most, and especially lower than traditional wealth management services. It operates completely online, and does not provide traditional brokerage services. The goal of Betterment is “to create the perfect investment management service”, and they may have succeeded in doing just that – especially for small investors. Betterment uses Modern Portfolio Theory, or MPT. This is an attempt to maximize returns based on the desired level of risk. They do this by investing money in two “baskets” – Treasury bonds and stocks. Investment baskets Each basket is made up of several exchange traded funds (ETFs), which is to say that Betterments does not maintain investment funds, but rather a small portfolio of broadly diversified ETF’s. The Stock Market Basket includes an index fund, as well as international funds, and select specialty funds, in order to create maximum diversification along with broad market participation. Through the use of just a few funds, they are able to achieve adequate diversification that will not require the need for a portfolio comprising of hundreds of different individual stocks. The Treasury Bond Basket is divided between just two funds – iShares Barclay’s TIPS Bond Fund and iShares Barclays 1-3 year Treasury Bond Fund. This combination minimizes volatility and interest rate risk on your fixed income portfolio allocation. It also means that your fixed income investment is 100% invested in US government securities for maximum safety. Establishing your investment goals As an investor, you create your investment profile – referred to as a “goal” in the system. This is done by setting targets and allocations, and if necessary, adding an automatic deposit feature that will help you to reach the desired goal. Betterment will decide the investment mix between stock and bond baskets based on your own personal goals. In addition to traditional taxable investments, Betterment also has the capability to provide an IRA account, including accepting rollovers from employer-sponsored plans. Though the Betterment system is highly automated, it is possible to reach a live human being. That’s almost a novelty with many web-based organizations. You have three options for direct contact: an 800 phone number, direct email support, or online live chat. However unlike large investment brokers, like Fidelity and Charles Schwab, Betterment works on extended business hours, rather than 24/7. Betterment works with bank level security including fraud protection, and SIPC coverage protecting securities in your account up to $500,000. The site uses 256-bit SSL encryption. Builder account – This is for accounts with balances of less than $10,000. The management fee is .35% of the account balance. Better account – For accounts with balances ranging from $10,000 up to $100,000, the fee is .25% of the account balance. Best account – For balances of $100,000 and higher the annual fee is .15% of the account balance. As an example, if your account balance is $20,000, your annual account management fee will be .25% (Better account level) of the balance, or $50. There are no transaction fees within the account, nor are there any fees for adding or withdrawing funds, or for periodic rebalancing. For investors who don’t want to spend time and effort actively managing their own investments, Betterment offers the simplest method of investing possible. You set your goals, Betterment determines the investment mix, and all you need to do is to add funds as needed. It’s virtually hassle free. Each of the two investment baskets are comprised of professionally managed ETF’s. The fact that the stock market basket invests in several ETF’s, means that you have the benefit of professional management from several investment managers, rather than being dependent on a single manager or team of managers. The system is setup to handle everything for you, including automatically re-balancing of your portfolio and reinvestment of dividends. You can automate the process even further by setting up your account with automatic deposits. This will enable Betterment to grow your portfolio, in much the same way as a payroll savings plan does with a 401(k) plan. 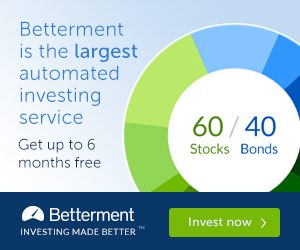 Betterment is just about the lowest cost professionally managed investment system available. For as little as a few dollars per year, even a small investor can get the benefit of professional investment management. Unlike a lot of investment management services, Betterment has no up front minimum required deposits. You can open a Builder level account with no money, but there will be a requirement to fund a minimum of $100 per month, at least until you achieve an account balance of $10,000, after which there are no required deposits. The one thing Betterment doesn’t do is provide general investment brokerage services. That means you can’t trade or hold individual stocks and funds in the account as you would in a traditional full service brokerage account. But then Betterment is an online investment management service, not a brokerage account. Betterment is a service well worth checking out. I’m surprised you didn’t mention the underlying ETF fees to your readers. Betterment’s chosen basket of ETFs range from 0.13% – 0.16% (per their FAQ page) that sit on top of their 0.35%-0.15% fees. This is a product of the funds Betterment has chosen to put together, and the money doesn’t go to them, but rather to the fund managers. Just something I feel is important to note- not sure why it’s hidden away on Betterment’s website. Hi Brian – I am aware of that, but didn’t mention it because lower fees are a basic part of the ETF advantage. I suspect that’s why Betterment doesn’t emphasize it either, although I think there is a single sentence somewhere on the site that does mention it. Thanks for pointed it out, it is yet another advantage to using Betterment.